The top three companies are from the banking sector – CIMB Group, Public Bank and Malayan Banking(OTC: MLYBY). Only a handful of Malaysian companies trade on the OTC markets in the U.S. The country-specific ETF is the iShares MSCI Malaysia Index Fund (EWM). This is posted on 2010. 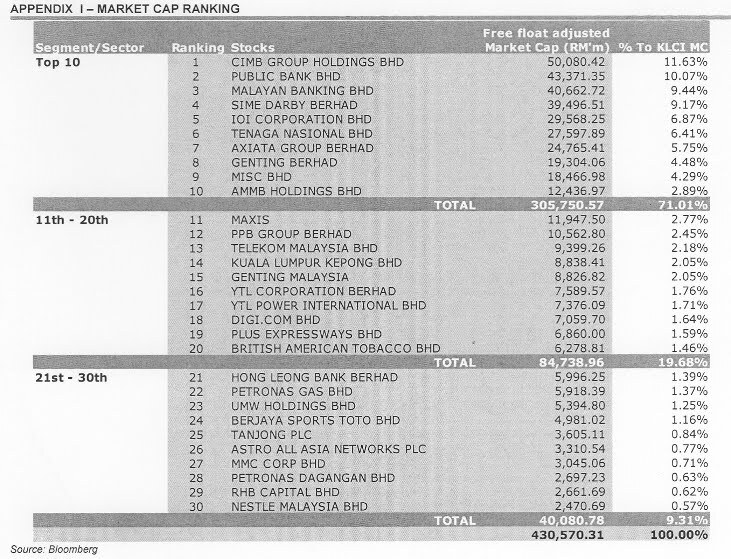 Mind to share the latest top 30 Malaysian companies by market capitalization?